When it comes to medical cosmetic treatments, we know it can be difficult to work out what’s right for you. We also know that in a largely unregulated industry, it can be difficult to know who you can trust. At present, anyone can legally carry out non-surgical cosmetic treatments – leading to a rise in so-called ‘cosmetic surgery cowboys’. In response, there have been calls for proper regulation and better training in the industry. Patient safety has always been incredibly important to our clinicians here at YourGP, and that’s why three of our clinicians – Dr Lyndsey Myskow, Dr Jane Sweeney and Dr Clara Russell – have recently become Save Face accredited. 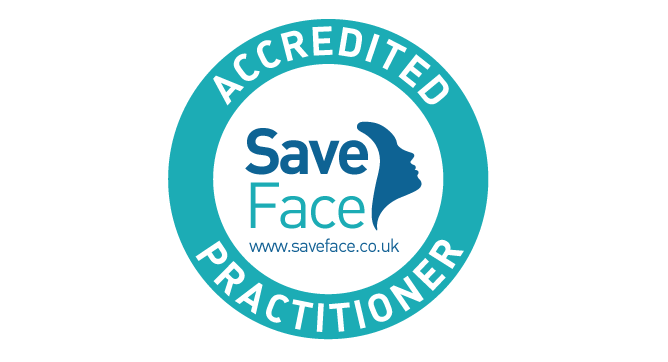 Save Face is an accreditation scheme for aesthetic medical professionals and clinics and is only open to doctors, dentists and nurses who can demonstrate they meet necessary standards for safe and ethical practice. Save Face only connects you with practitioners that are safe and credible – and this means that you can now rest assured that YourGP is safe and qualified to carry out non-surgical cosmetic treatments. To become accredited, Lyndsey, Clara and Jane had to go through a rigorous process. Firstly, they had to complete an online pre-qualification questionnaire, before a Save Face clinical assessor visited our practice to assess the practitioners. The Save Face assessor quizzed Lyndsey, Clara and Jane about how they carry out our range of medical cosmetic treatments, including for spots, blemishes, lines and wrinkles and unwanted hair. Other conditions we treat at YourGP include excessive sweating and acne, while we also offer minor surgery to remove cysts, moles or skin tags. They also explained to the Save Face assessor that we offer complimentary consultations for the majority of our cosmetic treatments and recommend all our cosmetic clients have a ‘Beau Visage’ skin analysis. This reveals underlying skin damage, allowing us to offer further insight when recommending treatment options to our clients. If you want to book a medical cosmetic treatment with a Safe Face accredited private health practice, use our online booking form, call us on 0131 225 5656 or email our reception team at reception@your.gp. To keep up-to-date with the latest cosmetic treatments news and any of our other services, make sure you like us on Facebook, or follow us on Twitter and LinkedIn.